The Importance of a Consistent Brand is often overlooked. 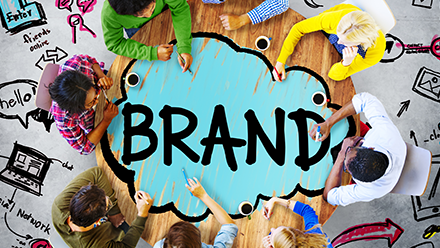 Your company brand is the portrayal of business and how customers view you. It can determine who buys from your company, whether they return and what they tell people about you. Branding is more than just a logo and the colours you use on your website; it should run through everything you do. Consistency is key to brand recognition; a customer should instantly recognise your brand whenever they look at a piece of your advertising or marketing material. When it comes to print marketing it is easy for a brand to become diluted because of lack of consistency, there are a vast number of variants from the type of finish and choice of paper that can mean the your printed materials are not consistent with your brand; especially if you don’t always use the same printers. Understanding a few key elements of branding will help you ensure you maintain brand consistency throughout your printed marketing materials. Here are a few things to consider when putting together your brand guidelines for your marketing materials. Have your logo in the same position throughout your printed materials, most brands will opt for top right, but it can go anywhere. Ensuring your logo is always in the same place will mean customers know where to look to confirm that the marketing is from your company. Having brand guidelines when it comes to your brand name is imperative, especially if a number of people from your company are involved in the design process of your marketing materials. Your registered company name is likely to have all sorts of letters after it such as Ltd, but do you need to put this on your marketing material? Decide on how you would like it to appear and stick to it to ensure brand consistency. Brand colours are so important, think of Cadbury’s purple or Coca-Cola’s red, colours can define a brand. Colours on different materials or via different process colours can look very different, finding a suitable print partner and only using them is the best way to overcome this as they will get to know the exact colour your are looking for. It is always good practice to ensure you ask for proofs of any printed materials before going ahead with a full run to ensure consistency and that you are happy with the overall look and feel. It’s not only what you say on your marketing material that is important, but also how it looks. Typography can have a big impact of the aesthetics of your leaflet, brochure or business card. Make a bigger impact by consistently using the same font that is instantly recognised as yours. Pick one or two fonts that complement each other or you could even have fonts designed for you. Flimsy paper doesn’t give the impression of a luxury brand, regardless of all the other aspects. People will realise if a letter or flyer is printed on a lower quality paper than the previous one they received, which sends a very distinct message about your brand.